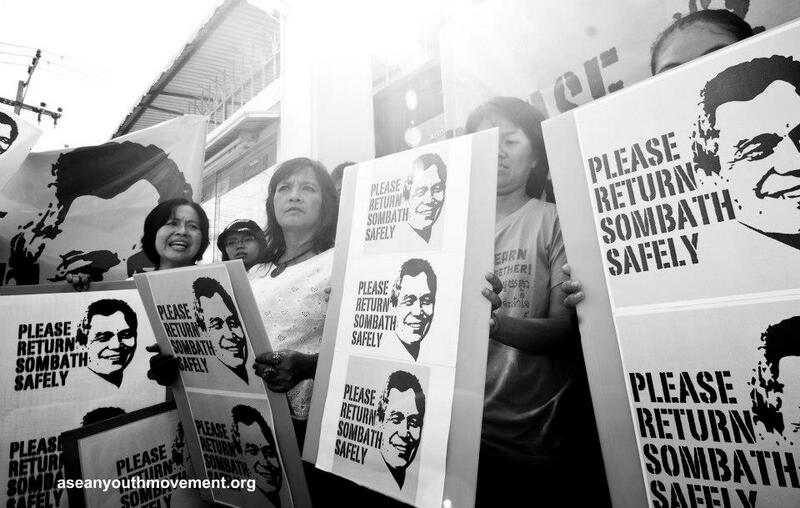 Lao activist Sombath Somphone was driving home on December 15 when he was pulled over. CCTV footage shows him stepping out of his jeep and speaking to someone (some have suggested that it was a police officer). He was then taken away in another car, while an unidentified man drove his jeep away. The Lao government has denied holding him, but activists — not only in the Lao People’s Democratic Republic, but around the world — have their suspicions. The government suggested that Sombath was kidnapped following a personal dispute, but his wife Ng Shui Meng insists that he has no known enemies. The 60-year-old advocate is highly respected for his work, and in 2005 won the Ramon Magsaysay Award for Community Leadership, a high-profile honor for civil society actors in the region. He was previously the director of the Participatory Development Training Centre, an organization promoting education and leadership skills. However, friends and colleagues believe that it was his heavy involvement in the Asia-Europe People’s Forum that had got him into trouble with the authorities. The event had drawn attention to many concerns held by Lao NGOs, such as the environment and land rights. The leaders of the single-party communist government of Laos, a developing country identified as Southeast Asia’s newest booming economy, is eager to suppress any activity that would stand in the way of potential investment and economic growth. Over the past year the government has expelled the director of Swiss NGO Helvetas for speaking out against the establishment, dismissed the director of the Academy of Social Sciences for questioning the education system and arrested a group of farmers for opposing a rubber plantation project. Sombath was also not the first person to have been disappeared: in 2007, ecotourism entrepreneur Sompawn Khantisouk was abducted, and his whereabouts remain unknown. If the government is really behind Sombath’s disappearance, it’s a scare tactic that seems to have worked. The climate of fear has so far also prevented the development of any movement within Laos demanding Sombath’s release. However, activists and advocates in the region — especially in neighboring Thailand — have stepped up to express solidarity and launch campaigns on behalf of their Lao counterparts. The Collaboration for Young Generation in Mekong Region (a.k.a. Mekong Youth) is among the various organizations involved in the campaign for Sombath’s safe return. Thai civil society groups, including the Mekong Youth, held a demonstration outside the Laos embassy in Bangkok 10 days after Sombath’s disappearance, where letters were delivered to the Lao government asking for his safe return. Two panel discussions were organized in Bangkok on the significance of Sombath’s disappearance in relation to human rights under the ASEAN framework (incidentally, the Association of Southeast Asian Nations recently adopted the ASEAN Human Rights Declaration). An exhibition has been organized highlighting the importance of Sombath’s work to the region, and the Mekong Youth have organized peaceful demonstrations asking for Sombath to be returned safely to his family. Campaigners are also working hard to attract as much international attention as possible, hoping that international pressure will force the Lao government to act to ensure Sombath’s safe return. A website and a Facebook page have been set up to provide information on his case, and to emphasize the value and importance of his work. Still, the major problem is the uncertainty. Despite everyone’s strong suspicions, no one has concrete proof that Sombath is in the government’s custody. “Even though we have evidence from CCTV footage from the police, we still don’t get any updates about him,” wrote Somchit Phankham, Sombath’s niece in an email. “We have been informed that all officers are working very hard on searching for him.” Yet the family has not received any information on Sombath’s circumstances or whereabouts, and continues to appeal to the public for information and pressure to be applied on the Lao government to take further action. In Solidarity, May he be returned home safely and quickly.